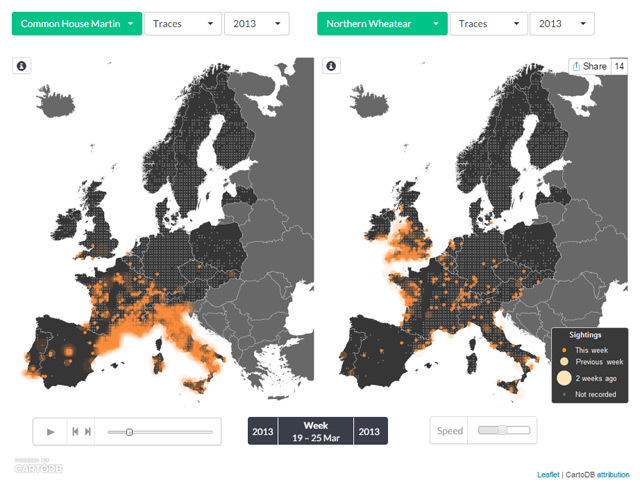 Two widespread passerines, the Common House Martin and the Northern Wheatear, have been added today to the list of available species in the EBP demo viewer. Both are summer visitors, but their migratory and phenological patterns are quite different. Have a look at the animated maps!